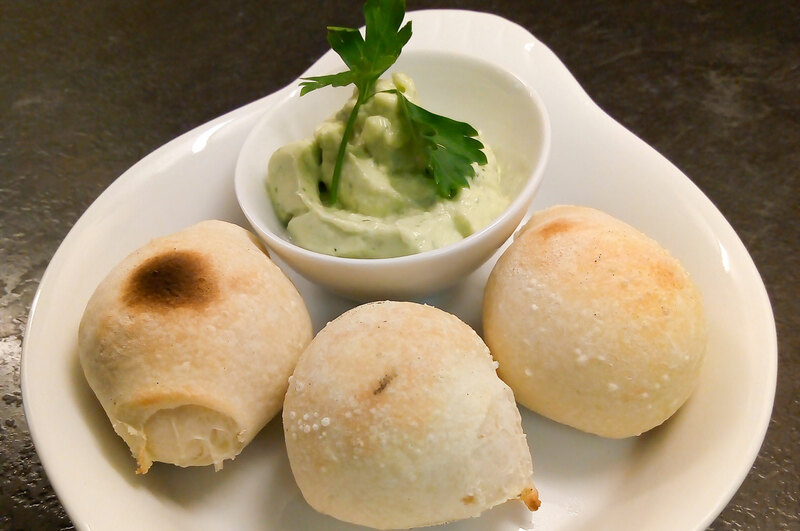 A wonderful party food, or serve as a delicious starter, these Dough Balls with Blue Sheese Aioli are bound to impress. Put the flour and salt in a bowl and make a well in the middle. In a jug mix the water, yeast, sugar and oil. Leave for 10 minutes until the yeast is bubbly. Add the liquid to the flour and work well with your hands. Once the dough has come together, put it on a floured surface and knead for 10 minutes. Return to a lightly oiled bowl, cover with cling film and leave somewhere warm for about 45 minutes or until doubled in size. Knock back the dough and separate into 20-21 even balls. Cut the block of Sheese into 20-21 even cubes and put each cube inside a dough ball. Roll again to ensure the Sheese cannot be seen. Place on a lightly greased baking tray and leave for 20 minutes. Bake in a pre-heated oven at 240 degrees c for 5- 8 minutes or until the dough is golden brown and serve with Blue English aioli (see below). Place the soya milk, mustard, garlic cloves and vinegar into a high sided bowl. Blend with a stick blender until emulsified and slowly pour the oil in whilst blending all the time. 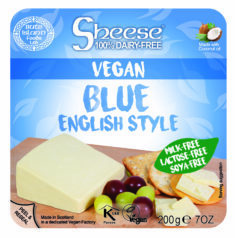 Blend in the blue Sheese, season with salt and pepper. Serve with dough balls or as a salad dressing. 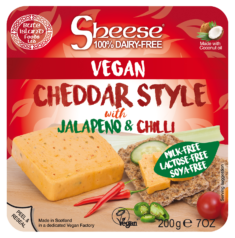 Please note: you can of course use any Sheese of your choice, and Mozzarella, Greek, Mild and Mature Cheddars all work really well too.